Have a question? If you don’t find what you’re looking for, fill out our form and our team of water professionals will answer your question clearly and quickly. There are literally hundreds of parameters that can be tested in water. However, you can quickly and affordably get a good sense of your water quality by testing a much smaller set of items. We recommend using an independent, state certified lab whenever health issues are to be tested. The aesthetic or functional items can be tested by a qualified water professional in the home using field test kits, but you may desire a lab analysis for these items as well. Your Secondwind Water Specialist is happy to make testing recommendations, draw your samples correctly and deliver them to a local, independent lab if you wish a confirming analysis, and for any health issues to be tested. If your home or facility is served by municipal water, you can obtain their annual Consumer Confidence Report which will cover the tests the system is required by law to perform. You may wish to test for bacteria, lead or copper within your home because your home plumbing or treatment system can impact the ultimate quality of the water you consume. Aesthetic and functional factors: Testing for iron, manganese, hardness, pH, alkalinity, sodium and chloride can give you a good sense of how well the water will work in your home, and whether or not it will leave stains or residue. In addition, these results will help us predict whether the water will impact your plumbing and appliances. It is possible to test for hydrogen sulfide odor, but it is actually more reliable to base a need for odor treatment on the symptoms in the home because the tests for this odor are subjective. Health Issues: A basic health scan should include tests for bacteria, lead, copper, nitrates/nitrites, arsenic, fluoride, radon and uranium. High level results in radon or uranium would indicate that other radiological tests should be performed. For greater peace of mind a test for MtBE, the gasoline additive, can be included, and for a more complete picture you should request tests for Volatile Organic Compounds (VOCs) and Synthetic Organic Compounds (SOCs). These last two are often only chosen if the home or business is located in an area where contamination is likely, but unfortunately this is impossible to predict as the activities of an individual homeowner can affect water quality in the surrounding area. If you have received test results from a lab or inspection and have any questions in interpreting the results, call Secondwind. Our Water Specialists are trained to be able to answer your questions. People often want to oversimplify the answer to this question. Passing tests for common aesthetic or functional items such as hardness, iron, manganese, and pH do not imply a safe water supply but simply a supply where the water is not likely to leave stains or mineral deposits. In this region, if you want to know if your water is safe to drink you should test for bacteria, lead, copper, nitrates/nitrites, arsenic, fluoride, radon and uranium. For greater peace of mind a test for MtBE (the gasoline additive) can be included, and for a more complete picture you should test for Volatile Organic Compounds (VOCs) and Synthetic Organic Compounds (SOCs). These last two are often only chosen if the home or business is located in an area where contamination is likely, but unfortunately this is impossible to predict as the activities of an individual homeowner can affect water quality in the surrounding area. It is not possible to know if your water is safe to drink from an in-home test. If you are unsure about what your system was installed for or whether or not health issue testing has been done at your home, please contact Secondwind. We would be happy to review your records with you. What are current EPA standards for drinking water in NH? TON = Threshold Odor Number, for measuring odor as detectable by the human nose. Coliform bacteria 0 Test is done on a presence / absence basis. E-coli bacteria 0 Test is done on a presence / absence basis. E coli is a serious water quality problem, do not drink this water until resolved. Alkalinity – Alkalinity measures the hydroxyl, carbonate, and bicarbonate content of water, which indicates the water’s acid neutralizing capability. Arsenic .010 mg/L Arsenic is a naturally occurring element that contributes to various cancers, neurological disorders and circulatory problems. Chlorides 250 mg/L Elevated levels are usually due to road salting or sea water intrusion near the coast. The water will begin to taste salty at 250 mg/L. Color 15 C.U. A measurement of the color of water; color is usually due to the presence of iron. Copper 1.3 mg/L Copper will be found in the water when conditions, such as low pH or the presence of chlorides, make the water corrosive to copper plumbing systems. Fluoride 2 / 4 mg/L Fluoride has a primary standard of 4 mg/L and a secondary standard of 2 mg/L. Fluoride is an important element, however beyond a beneficial level it can cause problems with bones and teeth. Hardness 150 mg/L Usually made up of calcium carbonate or magnesium carbonate, impacts the usability of the water. Iron .3 mg/L The standard of .3 mg/L is set because this is the level where staining (laundry, toilets, appliances) will normally occur. Manganese .05 mg/L The standard of .05 mg/L is set because this is the level where staining will normally occur. This is an aesthetic issue. MtBE By state 13 ug/L NH; 70 ug/L MA. Methyl tertiary butyl ether is a gasoline additive that is believed to be carcinogenic. Nitrates 10 mg/L A natural phenomenon due to the decomposition of organic matter; can be elevated due to agricultural practices or lawn fertilization. Nitrite 1 mg/L In addition to the issues related to nitrate, the presence of nitrite also can imply problems from human or animal waste or wastewater disposal. Odor 3 TON Odors tend to dissipate quickly so it is very difficult for labs to quantify odors; this measurement is based on a dilution process. pH 6.5 – 8.5 A measure of the relative acidity of the water. 7 is neutral; below 7 is acidic. Radium 5 pCi/L A radioactive element associated with bone cancers. Radon By state 2000 pCi;L NH; 10000 pCi/L MA. Radon is a colorless, odorless gas that is the result of the decay of uranium and radium. Radon presents a risk when the air is breathed; contributes to the risk of lung cancer. Sulfate 250 mg/L A natural mineral which contributes to a white crust left where water evaporates. At extremely high levels can lead to gastro-intestinal distress. TDS 500 mg/L Total Dissolved Solids, which is a measurement, in milligrams per liter, of the dissolved mineral content of water. Turbidity 5 NTU A measurement of the clarity of the water; in this region high turbidity is usually due to iron, clay or silt. Uranium 30 ug/L A radioactive element associated with kidney cancers. Volatiles & Synthetics Vary Volatile organic compounds and synthetic organic compounds have individual standards and are associated with a variety of health issues. A trained Secondwind Water Specialist can test aesthetic and functional factors in the home or business as part of a comprehensive site evaluation. These specialists are trained to recognize water quality problems and to design water treatment systems to solve for these problems. That same specialist would be happy to deliver correctly taken samples to an independent lab should you desire health issues testing, or confirming tests on any of the in home tests taken. If you prefer to handle the testing yourself, we recommend utilizing a State Certified Lab. You can find a listing on your state’s Department of Environmental Services web site. In addition, we would be happy to provide a referral for you in your area. You will need to get the correct bottles for the tests you are interested in, and will need to follow the sampling procedures exactly. Some items are time sensitive, so be sure to follow the instructions with the test bottles or kit and get the samples to the lab within the appropriate window of time. Should I test my water if I have town water? If your home or facility is served by municipal water, you can obtain their annual Consumer Confidence Report which will cover the tests the system is required by law to perform. You may wish to test for bacteria or lead within your home or facility because your home plumbing or treatment system can impact the ultimate quality of the water you consume. If you are concerned about aesthetic issues or chlorine tastes or odors, your Secondwind Water Specialist can address these items after a site visit. What do I do if my water smells like gasoline? If you think there might be gasoline in your water, DON’T drink it. A VOC (Volatile Organic Compounds) test can determine if there is gasoline in the water. If it is present, it is treatable and we can help. There are NH State funded programs that you might qualify for that would provide testing, treatment, and maintenance services for the removal of gasoline from your water. How do I know if I have PFOA in my water? I heard there is MtBE in the water in my area, what should I do? MtBE is a chemical that was added to gasoline to help it burn cleaner. The State of NH offers sampling and testing services to test for the presence of MtBE at no charge to the property owner. Contact the Department of Environmental Services at the State and ask for the MtBE section. They will be able to help you. My water smells after it has been sitting, what should I do? Much of the odor in water in this region is a hydrogen sulfide / rotten egg type odor that gets worse when the water sits. This is the result of a non-harmful sulfate reducing bacteria that is very common. The odor is the result of the bacteria’s off-gassing and will collect in the plumbing and rise up to a faucet where it greets you when you first run water. We can install a water treatment system to prevent this from occurring but if you are interested in seeing if you can just lessen the annoyance, you can run some dilute bleach through the plumbing and let it sit while you are away. See our instructions on performing an internal plumbing disinfection for the steps on this procedure; it will require that you have a cartridge filter as part of your set up. How do I re-start my Bubble Up Radon System? If you have no water and the Bubble Up pressure gauge reads 0, the Bubble Up Low Flow pressure switch (which turns the pump off in the event of low water flow) has tripped. If the pump or blower on your unit is continuously running, un-plug the unit from the wall before trouble shooting the problem. If you need water in the house you can by-pass the unit and get water directly from your well. Power outage. When a power outage occurs and you continue to use the water the storage tank will draintripping the Low Flow Switch. When power is restored, see last paragraph. Clogged pre-filter. If you have a cartridge or vu-flow filter ahead of your Bubble Up, clean or change it, it may be fouled with iron or sediments. Then put the system back on line and see last paragraph. If you have a backwashing filter, it may have become blocked with a burst of sediment, initiate a manual Backwash in attempt to restore flow. If successful proceed to last paragraph. If flow is not restored call Secondwind Water Systems. Low water volume from well. If you have been using a significant amount of water, watering your lawn, doing multiple loads of laundry etc. you may have temporarily reduced the available water from the well. This can result in the well pump delivering less water than the Bubble Up requires. Put the Bubble Up on bypass (and unplug) and give your well some time to recover, this typically takes a couple of hours. Put the system back on line and see last paragraph. No water from well. There may be a malfunction of your well pump or its controls. Check your well pump’s pressure gauge, if it is at 0, and then call your well pump company. Put your entire water treatment system on bypass and unplug until any well work is completed and sediment is flushed out. Then put the system back on line and see last paragraph. 5. A malfunction of the Bubble Up controls. The problem could reside with the floats, solenoids or pressure switch of the Bubble Up. Call Secondwind Water Systems for service. Put the system in service (out of by-pass) and plug in. Wait until the blower stops running, and then restart the Bubble Up as follows: Locate the small metal lever that sticks out of the side of the Bubble Up pressure switch box (small gray or Black box with a nut on top, located on the pump control next to the pressure gauge) Lift the ‘L’ shaped wire lever up part way (450) until you hear the pump start. (You will feel some resistance.) Hold the lever in that position until the pressure on the Bubble Up pressure gauge reaches approximately 40 psi then release the lever. The pump should continue to build pressure and within a minute or two there should be water at the sink. If the pump starts then tops, you may have pulled the lever too far, try again. Pulling the lever to far will shut the pump off. How do I re-start my Clearadon Radon System? If you have no water and the Clearadon pressure gauge reads 0, the Clearadon Low Flow pressure switch (which turns the pump off in the event of low water flow) has tripped. Power outage. When a power outage occurs and you continue to use water the storage tank will drain tripping the Low Flow Switch. When power is restored, see last paragraph. Clogged pre-filter. If you have a cartridge or vu-flow filter ahead of your Clearadon, clean or change it, it may be blocked with iron or sediments. Then put system back on line and see Last paragraph. If you have a backwashing filter, it may have become blocked with a burst of sediment, initiate a manual Backwash in attempt to restore flow. If successful proceed to last paragraph. If flow is not restored call Secondwind Water Systems. Low water volume from well. If you have been using a great deal of water, watering your lawn, doing multiple loads of laundry etc. you may have temporarily reduced the available water from the well. This can result in the well pump delivering less water than the Clearadon requires. Put the Clearadon on bypass (and unplug) and give your well some time to recover, this typically takes a couple of hours. Put the system back on line and see last paragraph. No water from well. There may be a malfunction of your well pump or its controls. Check your well pump’s pressure gauge, if it is at 0, then call your well pump company. Put your entire water treatment system on bypass and unplug until any well work is completed and sediment is flushed out. Then put the system back on line and see last paragraph. A malfunction of the Clearadon controls. The problem could reside with the floats, solenoids or pressure switch of the Clearadon. Call Secondwind Water Systems. Put the system in service and plug in. Wait until the blowers stop running, and then restart the Clearadon as follows: Locate the small metal lever that sticks out of the side of the Clearadon pressure switch box (small gray or navy blue box with a nut on top, attached to the Jet Pump). Pull the lever up part way until you hear the pump start. (You will feel some resistance.) Hold the lever in that position until the pressure on the Clearadon pressure gauge reaches approximately 40 psi then release the lever. The pump should continue. If the pump starts then stops, you may have pulled the lever too far, try again. Pulling the lever to far will shut the pump off. How do I manually regenerate my Kinetico softener or Filter? Follow these steps to perform a manual regeneration process for a Kinetico water softener or filter. This might be recommended if you ran out of salt or if your well experienced a larger than usual burst of sediment or ferric iron. On top of the control valve (the round black part on top of one of the two twin tanks), you will see a clear plastic disk with a small depression in the middle. Look down at the disk, and locate the black mark on the inside of the meter control disk inside the clear disk. This will be near the 6:00 or 12:00 position on the disk. Using a Phillips screwdriver, push down on the screw in the small depression, and turn slowly clockwise, pushing down while you turn. Advance the black mark to the closest “BRINE” position on the disk. You will begin to hear a trickle of water that indicates you have triggered the regeneration. If you wish to manually regenerate both sides, wait until the regeneration is done. You will know the unit has completed the process because the sound of water will stop, and the black mark will be at either the 6:00 position or the 12:00 position. What does it mean if my RO shuts off? Most of the Kinetico RO systems include a MAC cartridge which stands for metered automatic cartridge. The unit counts the gallons of water you have processed and shuts the RO off when it is time for maintenance. More recently, we have an anti-leak option for our under-sink installations. This special shut off device will turn off the RO if water is detected in the cabinet under the sink. How do I clean the screen in my Vu-flow sediment filter? Before you turn the water off, put some water in a small bucket or pan. You will need a small amount of bleach for this procedure and a small brush. Turn the water off before and after the filter by turning the ball valves to the closed (perpendicular) position. Depressurize the filter by turning the knob on the bottom, with the tube in a bucket. If there is no tube attached to the bottom of the filter, hold the bucket close. Unscrew the bottom (clear) sump. Remove the filter element by pushing it to the side. It is held in by an o-ring, and is not threaded. Clean the filter element in a small bucket or pan using a toothbrush dipped in bleach. Reinstall the filter element by pushing it up into the space in the top of the filter cap. Make sure the filter sump still has its o-ring. Holding the filter sump, pour in a small amount of household bleach (approx 1-2 tablespoons), and re attach it to the cap of the unit, hand tightening only. Slowly repressurize by opening the ball valves and check for leaks. Where can I purchase replacement cartridges and how do I know which ones to use? It is very important to use the correct cartridge filter with your water treatment system to ensure proper operation. If you feel the need to try a different cartridge filter other than the one specified for your system, please discuss with your Secondwind water specialist to be sure the new cartridge will not affect the performance of your system and will address your concerns. If you do not know who your water specialist is, please contact us and our staff will be more than happy to connect you with the appropriate specialist. All cartridge filters installed by us are available for purchase through Secondwind Water Systems. Our staff can retrieve your equipment records and quote the exact filter that was installed with your system. Most filters are available for shipment or pick-up on the same day. Payment is expected at the day of order or day of pick-up. 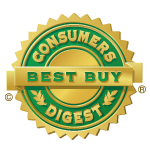 Many cartridges are eligible for discounts when two or more of the same cartridge are purchased on the same day. We accept Cash, Check, Visa, MasterCard, Discover, American Express. If I already have a water treatment system, do I really need to test my water? If your water treatment system was installed to treat aesthetic factors such as staining, hardness or odor, you know if the system is working based on the symptoms in the home. We recommend that you test your untreated water from time to time to be sure your system is set up for the current conditions. Water chemistry often changes over time. If your water system was installed to treat functional factors such as hardness or pH, testing both the raw and treated water periodically makes sense so that proper operation and set up of your system can be verified. If your water system was installed to treat health issues, the water should be tested annually to verify that the system is working properly. Most health related contaminants have no symptoms and although the health impacts occur over a long period of time, you would want to know as soon as possible if the system is not functioning correctly. Liquid bleach – standard household bleach, such as Clorox, unscented. The correct quantity is 1.5 quarts for every 100’ of water in a drilled well. If you do not know the depth of the well, start with one half gallon of bleach. OTO – a pool chlorine detection chemical available from a pool supply store or Secondwind Water Systems. This is not mandatory, but helps. Put any water treatment equipment on bypass. Remove any cartridges from filter housings. Open the cap of the well. Pour the liquid bleach into the well. Run water from a garden hose into the well. Leave the hose pointed into the well. Let the hose run until chlorine is detected in the water stream. You detect the chlorine by filling a white cup with the water and dropping a few drops of OTO into the cup. If the drops turn yellow or orange, you have chlorine. (If you do not have OTO you will have to rely on your nose.) This will take from 30 minutes to an hour depending upon the amount of water in the well. If you do not have chlorine present after an hour, add more bleach, approximately one quart at a time. Keep running the water for approximately 15 minutes each time after adding more bleach to see if you now have enough, before then adding more. When you have chlorine at the hose, rinse the inside walls of the well with the hose for a few minutes. Then turn off the hose, reattach the cap of the well. NOTE that if you have iron in the water, the water will become yellow or rusty colored during this time. Disinfecting a well can also stir up sediment, so be prepared that aerators may become plugged. Run water at each faucet, testing for chlorine presence. Turn off each faucet once chlorine is present. For complete disinfection, run some water into the dishwasher and washing machine and flush all toilets. If you have a tank-type hot water system, it will take a while to get chlorine through the hot water. Allow the chlorine to sit in the plumbing at least 24 hours. You may flush the toilet during this time, but do not shower in the water or use it for cooking or drinking. It is a good idea to run each faucet a little bit a few times each day to keep the chlorine fresh. AFTER 24 HOURS Flush the well by pointing your garden hose to the woods or a gravel or sandy area. Run the hose until the chlorine is gone. During this time you should stay around and check on the water stream every now and then to make sure you don’t temporarily run the level of water in the well down below the pump. Should the water stream drop down to a trickle, turn off the hose for a few hours. When the chlorine is gone and any turbidity stirred up by the process has dissipated, you may put your water treatment equipment back on line, and replace any cartridges. How do I disinfect my house plumbing? A build-up of sulfate reducing bacteria, iron bacteria, and organic bio-films in the plumbing of a home can cause unpleasant tastes and odors. While these growths are coming from the well and a complete well disinfection or full treatment system may be necessary, in some cases the problem can be lessened by disinfecting the internal house plumbing. A cartridge filter housing to be installed at the house if one is not already there. Perform this procedure just before going to bed or before going away for the weekend. If the cartridge is installed ahead of the water softener or filter, put the softener or filter on bypass. Depressurize the plumbing by turning water off before and after the cartridge. Depress the red button on the top of the cartridge housing until no more water comes out. Remove the existing cartridge filter (if any), and pour out the water. Put 2 inches of liquid, unscented bleach into the housing, and be careful not to spill on your hands, face or clothing. Replace the housing and tighten. Open the ball valves before and after the housing. Go to the faucets where the odor is a problem and run water until you can smell bleach. Turn off faucet and leave chlorinated water in plumbing. If you are treating several locations in the house, or if hot water is a major problem, you may have to refill the cartridge a few times to get adequate bleach to all locations. MARK OR COVER ALL CHLORINATED FAUCETS TO BE SURE NO ONE USES THE CHLORINATED WATER. After the overnight or weekend waiting period, flush water out of the faucet until the chlorine smell is gone. Put water treatment equipment back on line, replace cartridge if any. NOTE: For areas with strong bio-film, it may be necessary to re-chlorinate several times to completely kill the growth. If the odor returns, the sooner you re-chlorinate, the better. If you have to do this procedure on a frequent basis, treatment equipment may be necessary. How do I flush the chlorine from my well or house plumbing after a disinfection? Once a well has been disinfected with chlorine it needs to be flushed and the well refilled with fresh water in order to be usable. OTO (Orthotolidine), which is a chlorine detection chemical available from a pool supply store, many hardware stores that sell pool supplies, or Secondwind. When the drops of OTO no longer change color in the sample water from the hose, you can put your water treatment equipment back on line, and should replace any cartridges in any filter housings. Now run water at each sink, hot and cold, until the OTO drop stays clear in a cup. Flushing the hot water may take some time if you have a hot water heater with a lot of storage as it will need to be flushed and refreshed with clear water as well. Remember that the chlorine used in the disinfection will oxidize iron and other metals and materials dissolved in your well water. You may see some rusty, colored water during this process and for a bit after until the well has cleared of all of the chlorinated material. And occasionally the disinfection process stirs up sediment. Because of all this, any cartridge filters may plug faster than usual for a day or so after the flushing. Monitoring your filter cartridges and your water pressure for a period after the flushing may help you avoid any pressure related problems. How do I change a cartridge filter? A cartridge filter needs to be changed when you notice a pressure drop, or 3 times per year if no pressure drop is noted. Color alone does not necessarily signify the cartridge needs changing. Shut off the water before and after the filter, and place a bucket underneath the filter. Note: A ball valve is in the off position when the handle is perpendicular to the pipe it is on. To release pressure: Depress the red button on top of the filter to release pressure. Some water will flow out. OR, you can open the closest sampling tap (faucet) to release the pressure, as long as this tap is within the ball valves you have closed. Using the wrench supplied, turn the clear plastic or blue holder clockwise (facing top view down) 1-2 turns. Unscrew the remainder by hand. Drain the holder and replace the cartridge, adding one teaspoon of chlorine bleach (unscented Clorox) to the holder. Screw the holder back on, making sure the “O” ring is in place, and hand tighten. Follow up with a half turn or full turn with the wrench, but do not overtighten; you should not have to strain. Press the red button down until all air has escaped from the filter sump while turning on the water slowly on the incoming side to fill the filter. A leak at this stage indicates either a missing “O” ring, or some grit along the edge of the housing or “O” ring. Turn on the water on the outgoing side. Turn off the feed water to the filter by turning the by-pass valve to the BY­PASS position*. Slowly turn the handle on the pressure relief valve to the OPEN position**. Allow at least one minute for system to depressurize and to minimize spillage. When depressurized, remove the filter sump by turning it clockwise (when viewed from above) with two hands. Remove the new cartridge and all contents from the protective packaging, and slide the bag over the used cartridge. Remove the used cartridge by turning it clockwise. Discard used cartridge with the bag, or clean and store for reuse. Inspect and clean the sump seal and adapter O-ring, if necessary. Using the included packet of silicone, lubricate entire seal, O-ring and the sealing surface in the filter head. Install the new cartridge into the cartridge adapter by turning it counter­clockwise until it stops. Add 1 teaspoon of chlorine bleach to the filter sump. Install filter sump by turning it counter-clockwise until it stops. IMPORTANT! Check alignment of arrows to assure proper assembly. Turn the handle on the pressure relief valve to the CLOSED position. Turn on the feed water by slowly turning the by-pass to the “GREEN IN SERVICE” position*. How do I know if my RO is working? Your RO should be removing at least 90% of the minerals in your water. Technicians will use a small battery powered meter called a TDS meter which tests total dissolved solids. They will compare your RO water to your kitchen water to determine if the membrane is doing what it should. If you are using an RO to solve for a specific contaminant you also should have a lab test done occasionally to verify that the results are satisfactory. How do I know if my arsenic system is working? The only way to know is to test, and you should do this at least annually. Most labs can do testing through the mail. How do I decide what type of salt to put in my softener? We recommend the pellet or pellen style of salt because it is processed to be much cleaner than rock salt. Salt with the cleaning agent “green bag” for iron sites is definitely recommended if you are using your softener to solve for iron – the cleaning agent helps prevent the build up of iron residue on the resin beads. If you have an anion exchange conditioner (for removal of arsenic, uranium or nitrates), DO NOT use the salt with the cleaning agent, stick with the standard pellet style salt in the yellow bag. What do I do if I run out of salt? Add some salt and let it sit in the brine tank for a couple of hours before moving on to the manual regeneration steps listed below. Do I need to winterize my system? Water treatment equipment should never be allowed to freeze because the tanks will crack and the media can be damaged, so this is an important question. Some pieces of equipment such as a cartridge filter or aeration-precipitation tank can be emptied and left on site. Almost all other pieces of equipment must be physically removed and taken to a place where they won’t freeze. Even a small amount of water left inside a mechanical part of the system can cause it to crack and malfunction. If you are looking to have your system winterized, contact us to discuss your options. How do I winterize my Kinetico Water Softener? 1. Draw brine solution into the main and remote tanks, do not backwash the brine solution out. 2. Remove the main and remote heads and siphon the water from the tanks, use tubing down the riser tube to get most of the water out. Do not tip tanks if they have gravel in the bottom! 3. Get as much water as you can from the Kinetico module. 4. Drain all the water from the brine drum. Remove the brine valve and drain all of the water from it as well. It is highly recommend that you store the Kinetico module and brine valve in a heated room. How do I winterize my Kinetico Drinking Water System? Turn off the feed water to the RO – this will be a small plastic valve on a fitting that comes from your main water pipe. Disconnect the main fittings to and from the system. Some water will come out of this tubing. Remove the pre and post filters and auxiliary filters if any and discard. You should have new filters installed in the spring, along with a disinfection procedure. The membrane should NOT be discarded. Take the tank down from the wall. You can disconnect the tubing and attempt to get more water out of it, but if it is a WOW (water over water) tank, there will still be water behind the bladder so you must take the tank with you. Remove the manifold including the membrane (middle) cartridge, and take this with you so it remains in heated space. The membrane itself should be removed, put into a sealed plastic bag and stored in the refrigerator. Be sure that any tubing that will be left on site has been drained of its water. Be sure to have us back in the spring. When we install your new filters and reinstall the unit, we will disinfect the tank and tubing. The humidifiers in my business keep getting crusted with minerals, what should I do? Humidifiers evaporate water and the minerals get left behind. What’s the crust? If it’s calcium, a softener might solve the problem. Reverse osmosis (RO) technology will remove all the minerals from the water, allowing the humidifier to run more effectively and last longer. RO systems can be designed to keep up with any commercial demand. I just purchased a business that is a small Public Water Supply. What should I do? Any water supply that serves over 25 people per day for 60 days per year is a Public Water System (PWS) and regulated under the Safe Drinking Water Act, even if the well is privately owned. If you now own a building that is a PWS, there are rules and laws you must comply with. The first step is to hire a Certified Operator who can explain the rules and requirements to you and help you develop a budget for meeting those rules. This is a service that Secondwind provides. What kinds of maintenance plans are available for my water treatment system? 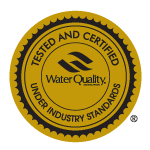 Your water treatment equipment will give you the most reliable service if it receives annual maintenance. For some pieces of equipment there are cartridges to be changed and materials to be added. For others this annual maintenance includes important disinfection and cleaning steps. For our residential customers we provide the reminder service and will contact you when it is time for your preventive maintenance. For our commercial customers we offer a variety of annual maintenance plans with frequencies designed to meet your water quality needs. See our Commercial Service section for details on these programs. Our services to our Public Water Supply customers include schedule management. We know your sampling requirements and take care of them automatically. If we are maintaining water treatment equipment for you, we plan for and schedule your preventive maintenance as well. Some of our customers prefer to operate on a “break-fix” basis where they call us if something seems to be broken. While we are happy to provide this service it can add more stress to your operation as repairs are then needed on an emergency basis. Our preventive “PM” programs are designed to minimize emergencies.